On April 26th, 1989, tens of thousands of people in the Manikganj district of Bangladesh were finishing up with their days work and eagerly waiting sunset so they could break their Ramadan fast. Another hot April day where children went to school and villagers worked harvesting crops, coconuts, working on their homes, or working in gathering mortar or make bricks. Unknown to them a series of meteorological events had begun to transpire, these included a powerful streak of air coming down from northern India and bringing with it strong mid and upper level winds and cold temperatures. At the surface, a strong low pressure center developed calling the dry air of eastern India into the extremely moist air of Bangladesh. The stage was set for an incredible and devastating weather event to take place. Sometime during the afternoon, a storm developed and soon put down a very large tornado bigger than 30 football fields in the Manikganj district. 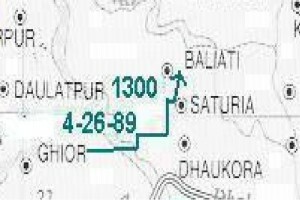 Unlike other Bengali storms that tended to have tornado tracks following the general storm south or southeast motion, the Manikganj tornado displayed a near east motion and then started going Northeastward. Violent supercells/tornadoes in the US have displayed similar motions dictated by the presence of intense rotation. The tornado procedeed to head east north of the city and take out many villages. At its pinnacle the tornado destroyed every structure and caused thousands of villagers to be lofted into the tornado. At this point it hit the villages of Saturia and Horgots which suffered utter devastation and severe loss of life, almost to the point of wiping the villages of their historical existence. 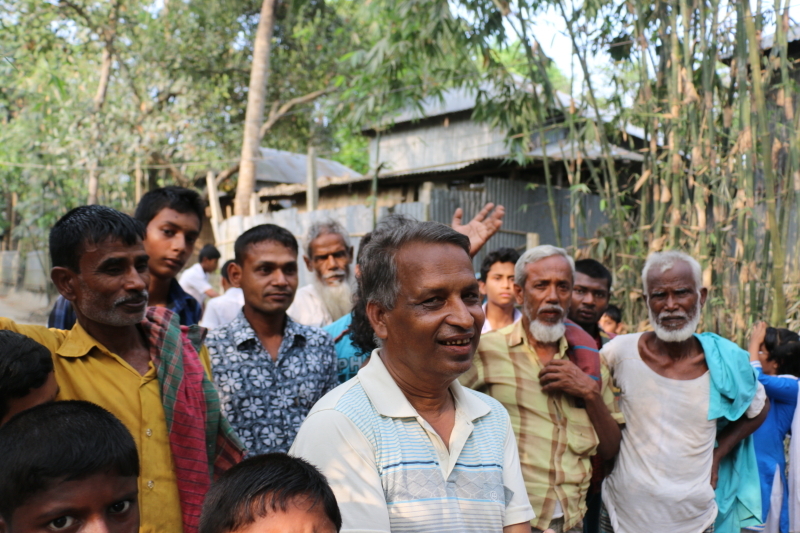 The Bangladesh Weather Expedition re-visited these villages and met with the survivors of this recording setting tornado so the world could hear what happened directly from them. Much of this will be included in an upcoming documentary but the villagers confirmed the tornado came from the Southwest moving Northeast and was very large. They all said it lasted about 10 minutes and destroyed and wiped everything clean. Many bodies were strewn through the trees and everyone had the cloth torn from them. The tin used in most houses caused deep lacerations, and many villagers lost family and friends. There was pea size hail during the storm but no larger. The tornado came through at around 5pm. 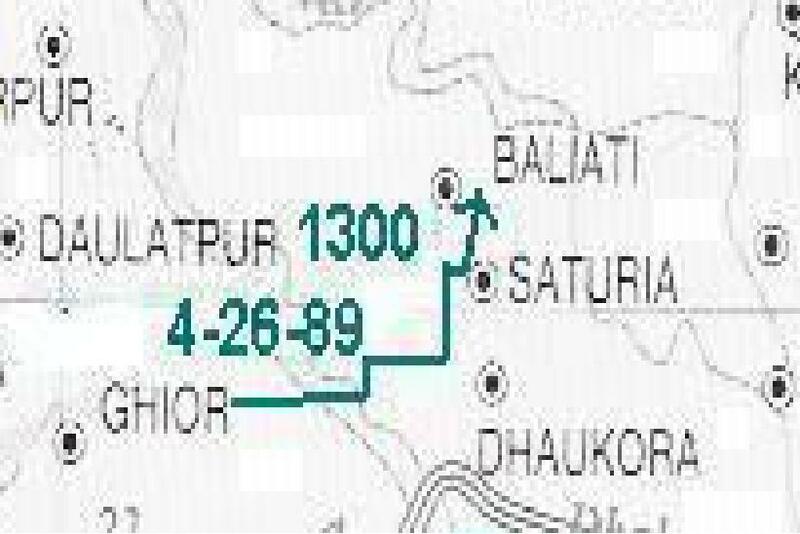 The official death toll as counted by the government of Bangladesh after the tornado is 1300. But one must understand the chronically disorganized nature of the country and the fact that we are talking about so many villages that the death toll may only reflect a fraction of the true deaths that took place. We figured that the villagers would have heard figures and have counts themselves that may give us a glimpse into the true possible devastation. The village elders in Horgots insisited the total was 6,500 – with 1,500 dead in Horgots alone. While others in Saturia mentioned between 6,500 and 1,500 but those that seemed most sure always had the higher number. 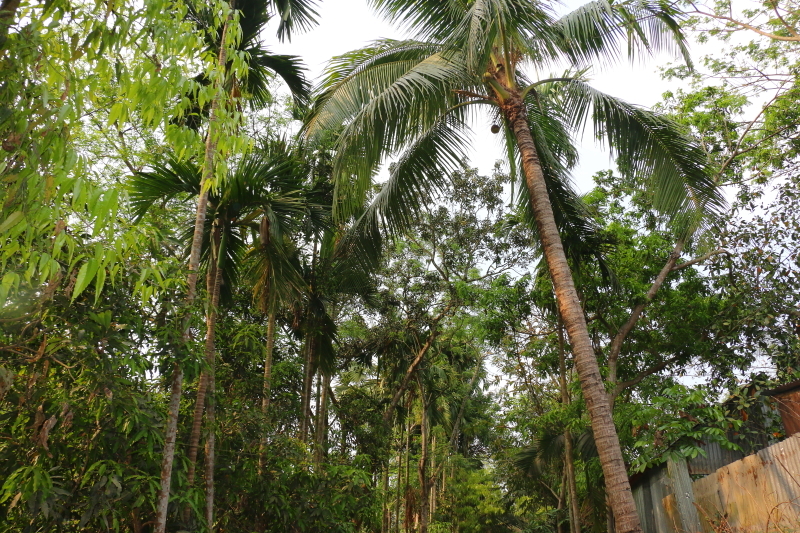 The area the tornado hit is very tropical with lots of trees. Most homes are built of jute or tin (and or both). Occasionally there are concrete are brick or cement homes. While it’s impossible to know for sure just how many people lost their lives to this terrible storm one thing is for certain, the people of these villages live on with strong resolution and grace. Their children know not the hardship that their parents went through. The NGO’s and government organizations may have long since forgot about them, but those of us in the meteorological community have not and we will find ways to support their success in the world. The future generation, children of Horgots. To explore the meteorological conditions of this tornado, visit this link and scroll down to 4-26-89.